Five writers, some of whom knew him in person, explore Burgess’s life and reflect on their favourite Burgess works, exploring the extraordinary twentieth-century man of letters from different angles. The Essay: Burgess at 100 offers personal as well as critical insight into why he remains a literary figure of such importance. 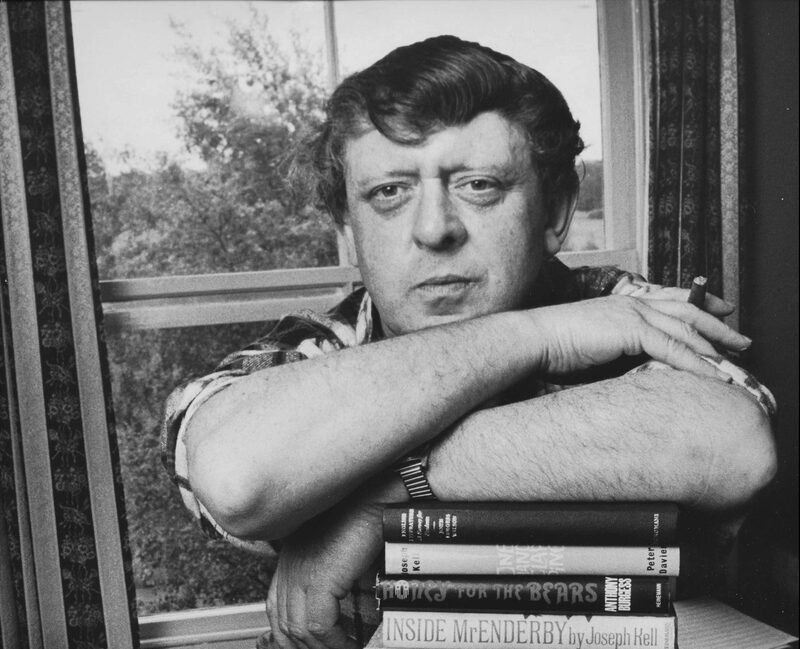 These essays look beyond his most famous novel, A Clockwork Orange, to explore different subjects, including Burgess as public figure, his use of language, and his work as a literary critic. AL Kennedy explores Burgess’s creative process and considers the way he presented himself in public forums such as television shows and in the press. AL Kennedy is the author of 17 books including six literary novels, one science fiction novel, seven short story collections and three works on non-fiction. She has won awards including the 2007 Costa Book Award and was twice included in the Granta Best of Young British Novelists. She is also a dramatist, essayist and regular contributor to both The Guardian and BBC Radio. Malaysian novelist Tash Aw asserts the importance of Burgess’s Malay novels, and describes how they have influenced his own work. Tash Aw is the author of three novels, including Five Star Billionaire, and a work of non-fiction, The Face. His books have been translated into 24 languages and won numerous prizes, including the Whitbread, Commonwealth and O. Henry Prizes; they have also been twice longlisted for the Man Booker Prize. Dr Simon Rennie explores Burgess’s working class origins, and how is early life influenced his later fiction. Dr Simon Rennie is lecturer in Victorian Poetry at the University of Exeter. He specialises in working-class poetic cultures of the mid-nineteenth century, and recently published a book on the poetry of the Chartist leader, Ernest Charles Jones. He is currently researching the poetry of the Lancashire Cotton Famine of 1861-65. Before becoming an academic Simon worked for twenty years in various manufacturing and warehousing roles, mostly as an upholsterer and workshop foreman. Rhoda Koenig examines how Burgess’s literary journalism is central to his identity as a writer and cultural figure. Rhoda Koenig has spent the first half of her life in the US, the second in England. She has been a theatre reviewer and literary feature writer for The Independent and literary editor, then book reviewer, for New York magazine. She has reviewed books for the Times, the Telegraph, the Standard, the New York Review of Books, Vogue, the TLS, the Los Angeles Times, the Spectator, Private Eye, and many other publications. She is the author of a book, The New Devil’s Dictionary, an update of the original by Ambrose Bierce. Kevin Jackson discusses Burgess’s creative use of language, including his created languages Ulam and Nadsat, and his non-fiction books Language Made Plain and A Mouthful of Air. Kevin Jackson is a writer, broadcaster and film-maker. He wrote and narrated the BBC documentary The Burgess Variations and directed Burgess at 70. More recently, he edited Burgess’s Revolutionary Sonnets for Carcanet Press. His other publications include a history of the year 1922, Constellation of Genius; a collection of essays, Carnal; and an English version of the Crimean Sonnets of Adam Mickiewicz. His latest film, A Quincunx for Sir Thomas Browne is now on show at the Royal College of Physicians, London.